One of the Dominican republic’s most well-known Bachata and Merengue artists plays at Lehman Center for the first time to grace us with hits such as Me Voy, Sin Perdon, Tu Veneno. Lehman Center for the Performing Arts and GOYA FOODS is proud to present HÉCTOR ACOSTA and his Concierto Sentimiento Torito for Valentine’s Day on Saturday, February 16th, 2019 at 8pm. 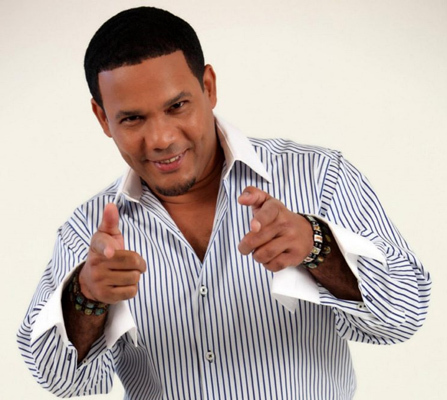 Known affectionately as “El Torito” (The Little Bull), Héctor Acosta, one of the Dominican Republic’s most well-known bachata and merengue artists, will perform for the first time at Lehman Center his hits such as “Me Voy”, “Sin Perdón”, and “Tu Veneno”. El Torito’s hot new single “Antes Del Lunes” was released on Friday, January 25th, 2019. Concert produced by Lehman Center and José Raposo.